Today’s application needs to capture, store, process, analyze, search and explore data at limitless scale and with no downtime. 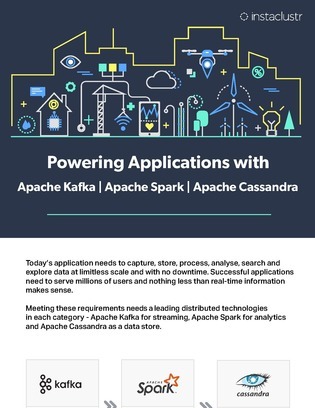 In this resource, explore Apache’s open-source technologies – Kafka, Spark and Cassandra – and discover how to deploy all 3 together. In addition, see if they satisfy your business’ needs for streaming, analytics and data storage.